Theodore Sturgeon , To Marry Medusa. Théodore Sturgeon est un des plus grands écrivains américains de l'étrange. Il est né en 1918 dans l'Etat de New York. Un rhumatisme articulaire l'obligea à une vie sédentaire et fut à l'origine de sa carrière d'écrivain. Theodore Sturgeon's book L. Ron Hubbard Presents Writers of the Future 35 is currently available from LibraryThing Early Reviewers. 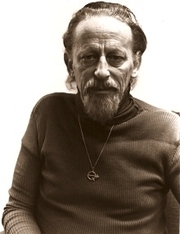 Theodore Sturgeon is currently considered a "single author." If one or more works are by a distinct, homonymous authors, go ahead and split the author. Theodore Sturgeon is composed of 23 names. You can examine and separate out names.